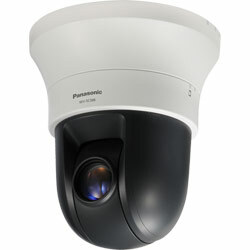 The Panasonic i-PRO SmartHD WV-SW396A Super Dynamic Weather-Resistant HD Dome Network Camera is suitable for use in high-end applications such as casinos, airports, transportation and correctional facilities, where detailed imaging is of prime importance. The camera captures high-quality footage with good sensitivity, thanks to its 1.3 MP double speed MOS image sensor. 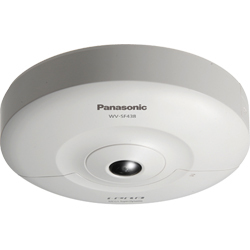 Panasonic‘s UniPhier LSI chip allows this network camera to simultaneous stream real-time imagery in H.264 and JPEG formats at a full frame resolution of 1280 x 960 at 30 fps. 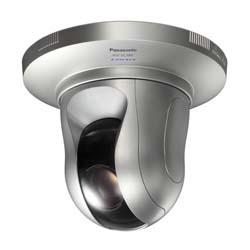 With the Super Dynamic and ABS (Adaptive Black Stretch) technology at its core, this dome camera delivers 128x wider dynamic range compared to conventional cameras. This increases the visibility of subjects in dark areas. 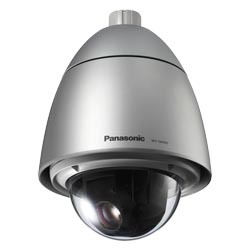 The camera also comes equipped with Panasonic’s Face Super Dynamic technology that captures clear face images by precisely detecting the position of a human face. Image from 16 cameras can be displayed in 4 different Quad screens or 16 split screen (JPEG only). 20 characters camera title available. Footnotes: 1 Microsoft Windows 7 Starter, Microsoft Windows Vista Starter and Microsoft Windows XP Professional 64-bit Edition are not supported. 2 H.264 and MPEG-4 are alternative. 3 [4 : 3] and [16 : 9] are alternative. 5 When using this product at temperatures of -40°C or bellow, use the power supply between 24 V AC and 27 V AC.